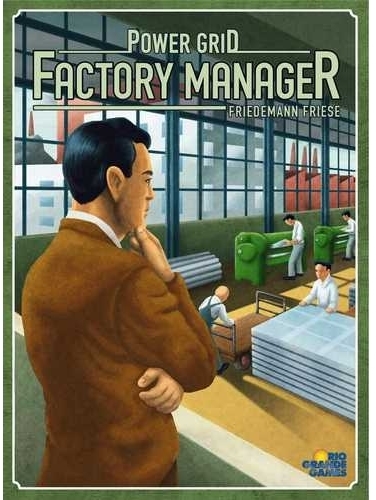 I enjoyed Factory Manager a lot when I played it (initial review here). A second play (again with experienced gamers) was just as enjoyable and a chance to try my gained knowledge to improve my efficiency. 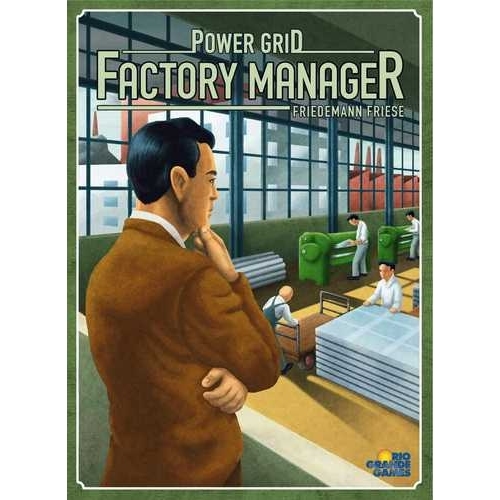 As someone who likes Power Grid, the idea of Power Grid: Factory Manager was very intriguing. I wondered if it was like Power Grid, or would it be too like Power Grid? The goal is to earn as much money as possible in a limited amount of turns. Each player has their own factory and buys machines (to produce goods or improve efficiency) and warehouse space. Each manufacturing machine uses power and require workers if they’re not automated. Income is based on the lower of your manufacturing capacity and warehouse capacity, so you need to keep these two factors as balanced as possible and plan for expanding evenly too.